Morristown Big Brew Beer Festival 2013! From my perspective this event was a huge hit, due to the fact that I purchased V.I.P. tickets, and I had an amazing time, but I would be remiss if I did not include some of the complaints that caused the event’s website to become a billboard of apologies after the event ended. The event staff stated that they had a complete failure of the barcode scanning system which led to the enormous lines in the almost unbearable weather Saturday night, I was informed that some patrons waited upwards of 2 hours to enter the event. The event staff also apologized for the lack of restrooms for both men and women the venue provided, causing bathroom lines to exceed 30 minutes at sometimes during the event. If you experienced any of these issues, I can see why you were not happy, but with that said, I would like to move past the oversights of the planning committee and touch on some of the highlights of what an event like this should be, and hopefully will be next year. The event staff has stated that you can contact them at bigbrewbeerfest@aol.com in order to request a refund if your ticket was unused or you can e-mail them your experiences and they will attempt to make it up to you, the customer, in the future. There are very few words in the English language that when combined create a sense of pure joy deep down in a man’s core. 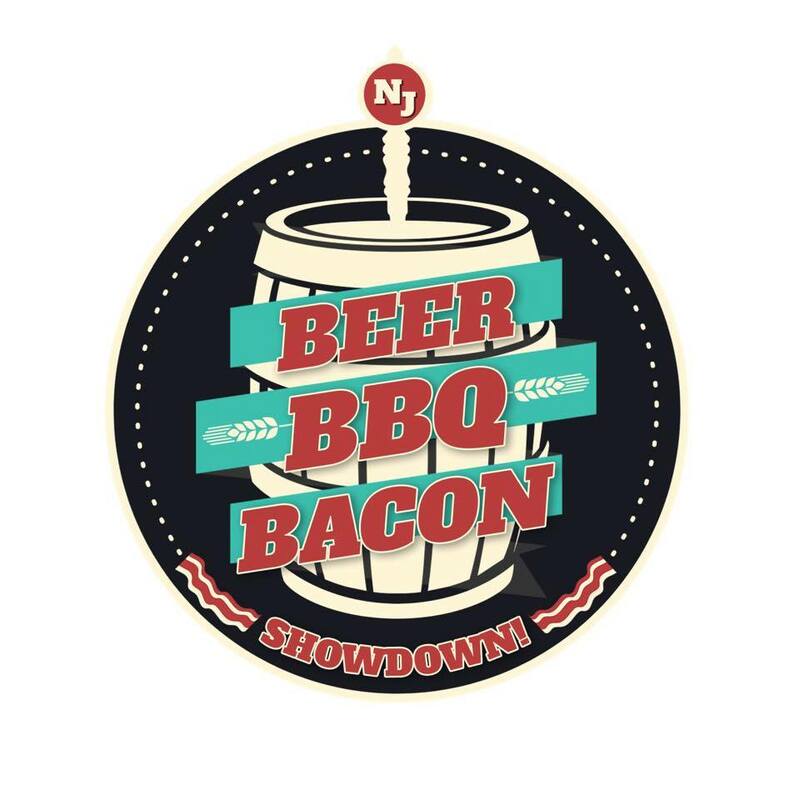 Unlimited bacon for example, is one such combination, Super Bowl is another, but since my doctor says that my cholesterol is higher than Oscar Meyer’s and the Super Bowl just ended, there can only be one duet of manly verbiage that I can be writing about this week, BEER FESTIVAL! For anyone who does not know what a beer festival is, -1 man point if you have a Y chromosome, it is an event where beer vendors from all over the country converge on one particular longitude and latitude to showcase their hoppy goodness, and attempt to woo potential new customers, by filling their gullets full of their wondrous concoctions. In addition, to the fantastic beers that are usually on hand at one of these magical soirées, there is never a shortage of awe inspiring food and attention-grabbing vendors vying for your business as well. These events are quite literally a warehouse full of Mangasm! Last Saturday I had the privilege to attend The Morristown Big Brew Beer Festival that was held at the Morristown Armory. Kat, my wife, and I decided to splurge and purchase the VIP admission because it allowed us to enter an hour early, sample the most exclusive beers at the festival, and included a gourmet hors d’oeuvre spread provided by the Morris Tap and Grill. Considering that I knew that I was going to be writing a review about this event, I felt it was my duty as a food blogger to not only write about the tantalizing libations but also the unique food offerings, even though this ticket was $85.00 instead of $60.00. Kat and I arrived at the Morristown Armory shortly before the doors opened and took our place in line while we waited to be let into the venue. Upon entering the venue, we met up with our friends Kristen and Brian and began to wander around the immense warehouse like space that housed the 100 plus craft beers that were on hand. We immediately headed for the V.I.P lounge which contained the extra special beers like 25th Anniversary Imperial Stout by Lakefront Brewery, INC., a Doppel Bock from the Climax Brewing Company, and of course FU Sandy by Flying Fish Brewing Co., which is a limited edition beer that supports the relief effort for rebuilding towns that were ravaged by Hurricane Sandy. After we wet our whistle with some of the best 2oz samples of beer that I have ever had the pleasure of tasting, we decided to visit the hors d’oeuvre table. The Morris Tap and Grill offered an array of gastronomic appetizers that left me asking myself, why the hell I had not heard about this place sooner, seriously my so called Facebook “friends”, you are all at fault here, and I am not sure that I can forgive you. If someone started a religion where instead of communion, I was able to approach the alter and eat the Bacon Hummus, the Morris Tap and Grill served, I might consider accepting whatever depraved creature that church worshipped as my lord and savior. In this religion we just created The Chili that was served would most definitely be considered Satan due to the perfect amount of burn that it delivered with each bite. Rounding out the food table was a variety of cheese and crackers and a delicate mushroom salad that added some relief from the flawless tingle left behind from Beelzebub dancing on our tongues. Hop’solutely by Fegley’s Brew Works, Wookey Jack by Firestone Walker Brewing Company, Diesel by Sixpoint Brewery, Humdinger Burnpile by Magic Hat Brewing Company, Pumpkin Smasher by Big Muddy Brewing, Art of Darkness by Ommegang Brewery, Christmas Ale by Goose Island, Double Platinum Imperial IPA by Starr Hill, Ramstein Double Platinum Blonde Hefe Weizen by High Point Brewing Company , 400 Pound by Left Hand Brewing Co., Hopsecutioner by Terrapin Beer Co., Ubu Ale by Saranac, Double D IPA by Old Dominion Brewing Co., Maudite by Unibroue, Exit 16 – Wild Rice Double IPA by Flying Fish Brewing Co., Thunderhead IPA by Pyramid Breweries, Scarlet Lady Ale by Stoudts, Reserve Imperial IPA by Captain Lawrence Brewing Company, Sneak Attack Saison by 21st Amendment Brewery, County Line IPA by Neshaminy Creek Brewing, Rumspringa by Lancaster Brewing, Sweaty Betty by Boulder Beer Company, Crispin Cider, and Woodchuck Hard Cider. Since the neurons in our brains were firing more haphazardly than a Los Angeles’ Police Officer with an arrest warrant from all delightful libations, we decided it was a good time to refuel at the Morris Tap and Grill station once again. This time unfortunately we had to pay for this meal, but it was worth every penny. We decided to try the Grilled Voodoo Chicken Sliders and The Baconator Sliders. The chicken sliders were expertly seasoned and once again had just the right amount of tangy goodness to wake our taste buds. The Baconators were slightly undercooked but still tasty. Kristen and Brian procured some cheese curds from the Wisconsin’s Cows and Curds Food Truck that was parked in the event and afforded me a taste, which made my stomach smile. After stuffing our faces full of this scrumptious nourishment, we decided it may be a good idea to saunter around a bit and visit some of the vendors that were not supplying us with an unlimited supply of hangover juice. The first vendor we spoke to was The New Jersey Craft Beer (NJCB) Membership Club which offers its members discounts on craft beer through its partnership with local businesses. Being that I am The Blue Collar Foodie, if there is a way to get a deal, it is most definitely for me, and I joined on the spot. The next stop on the sobering up tour was ChewTheDirt.Com, which is an E-Zine that claimed to be a curator of man stuff. I was able to speak to the man behind the magazine and peruse the website for a short while and liked what I heard and saw. Chew The Dirt reminded me of Maxim Magazine before they turned into just another boring men’s magazine and lost their edge. We then stopped over at the Jersey Club Sports’ table and discussed the finer points of Kickball and Dodge Ball, two of the team sports this innovative and fun company offers its clientele. Next we stumbled upon the JR Cigar table and chatted about the only product on this planet more masculine than the beer we were sampling, stogies. We were even able to find a table serving samples of Homemade Momma’s Hot Apple Garlic Chicken Wing Sauce, which Kat bought before I could finish my sample spoonful. Ellie’s Brown Ale by Avery Brewing, Oak Aged Barleywine by Schlafly, Deviant Dale’s by Oskar Blues Brewery, Finest Kind IPA by Smuttynose Brewing Co., Double Simcoe IPA by Weyerbacher, Evil Eye PA by Evil Genius Beer Company, Double White by Long Trail Brewing Co., Maximus by Laugunitas Brewing Company, IPA by Full Sail Brewing Co., Mad Hatter IPA by New Holland Brewing Company, and IPA by Cisco Brewers. Goodbye Big Brew Beer Fest! See you next year! After this last round of drinks, it was time for us to catch our ride, a huge thanks to Kristen’s Mom because Kat and I were in no condition to walk 2 miles, to the Morristown Train station for our safe train ride home. I am sure I am going to catch some hate mail for writing this obviously pro Morristown Big Brew Beer Festival, but I absolutely feel that the event staff involved did not mean to ruin anyone’s day on purpose. This was the first year this event was held and like anything in life, you live and you learn. I do hope that this event will be held once again next year and everyone has the opportunity to have as good of a time as we did at this event.